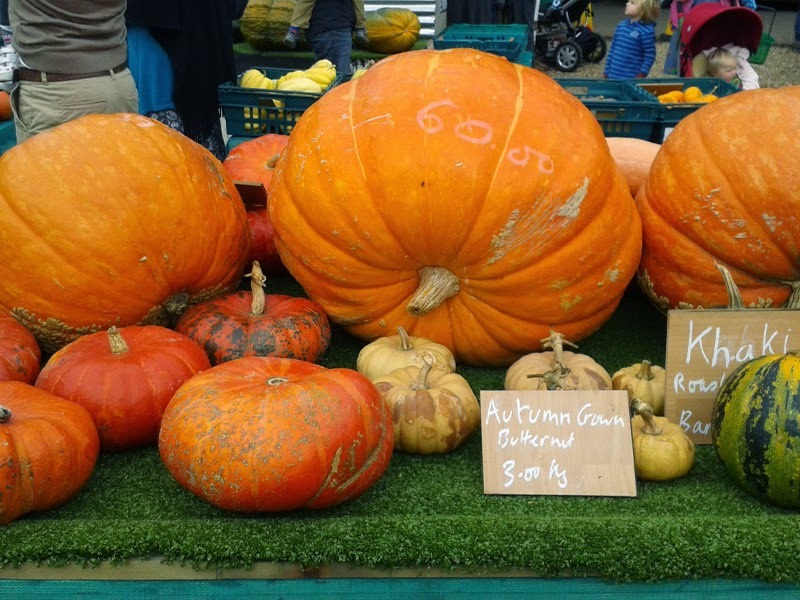 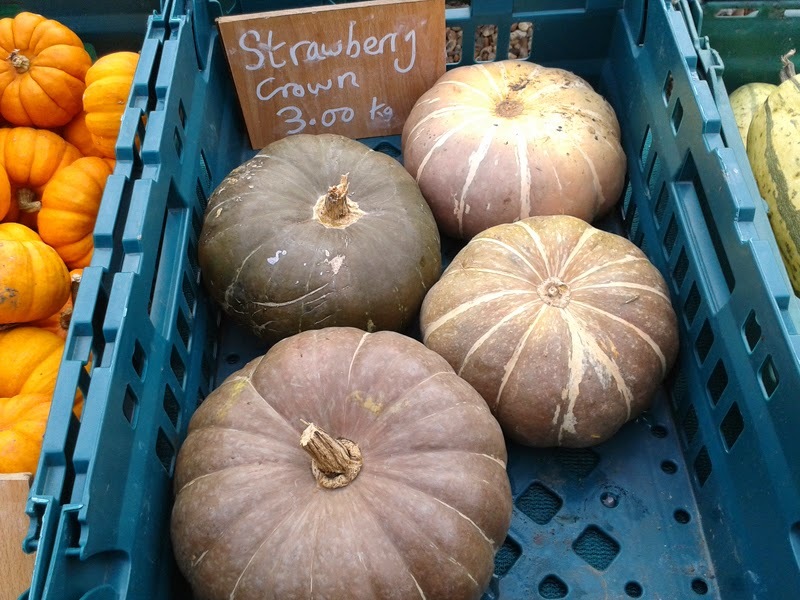 I absolutely loved my visit to Slindon pumpkin festival today, in the perfect Autumn weather. 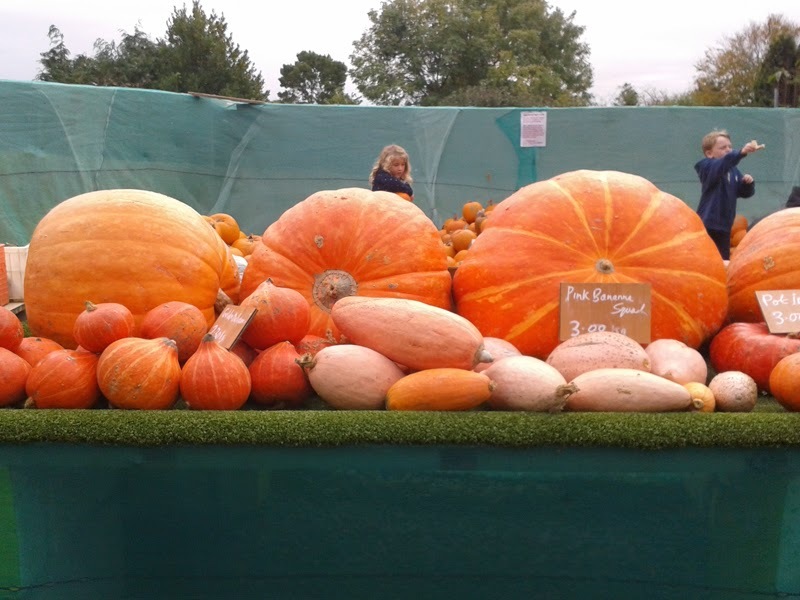 This is a very sweet festival that has been running since 1968 started by pumpkin grower extraordinaire, Ralph Upton. 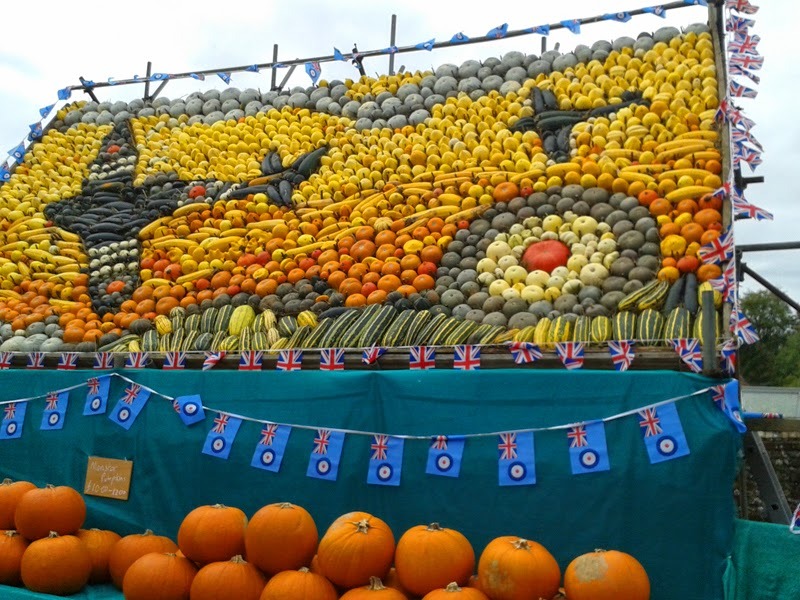 Now his son and a core team keep the event going, the centrepiece being a huge mural made up of different pumpkin varieties. 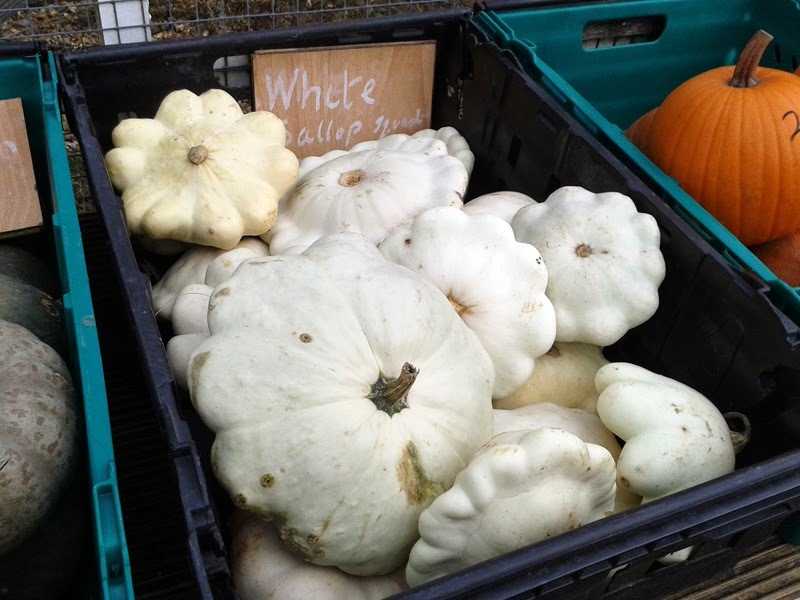 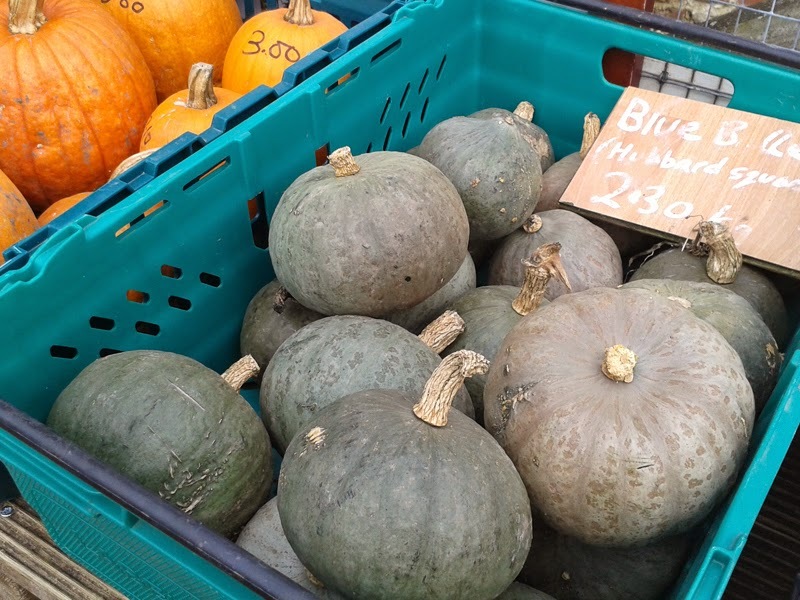 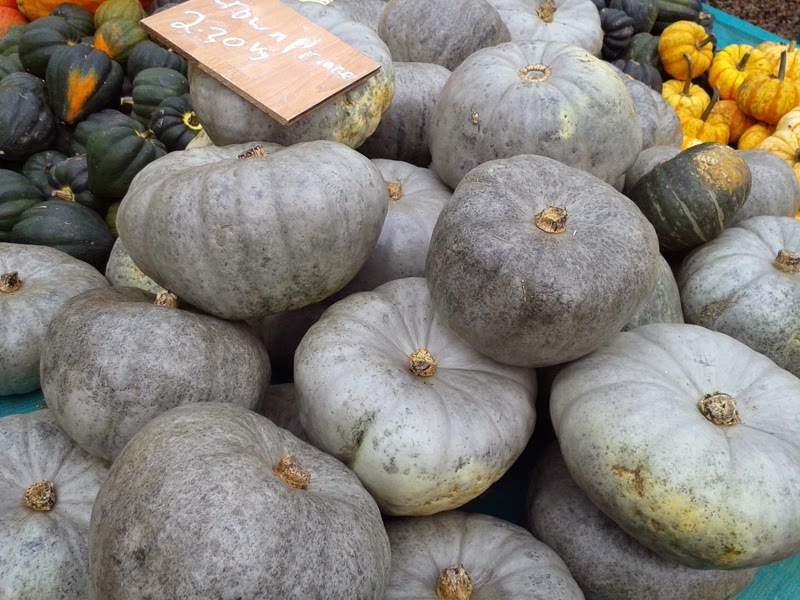 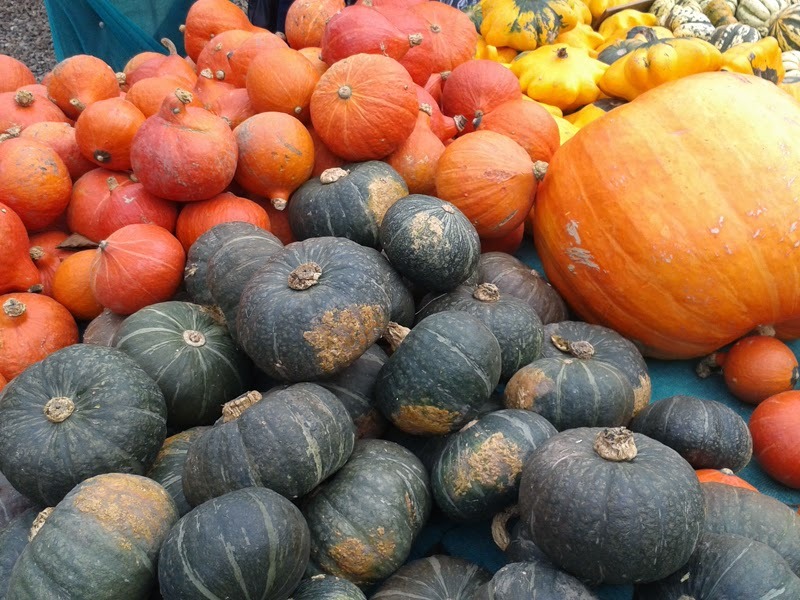 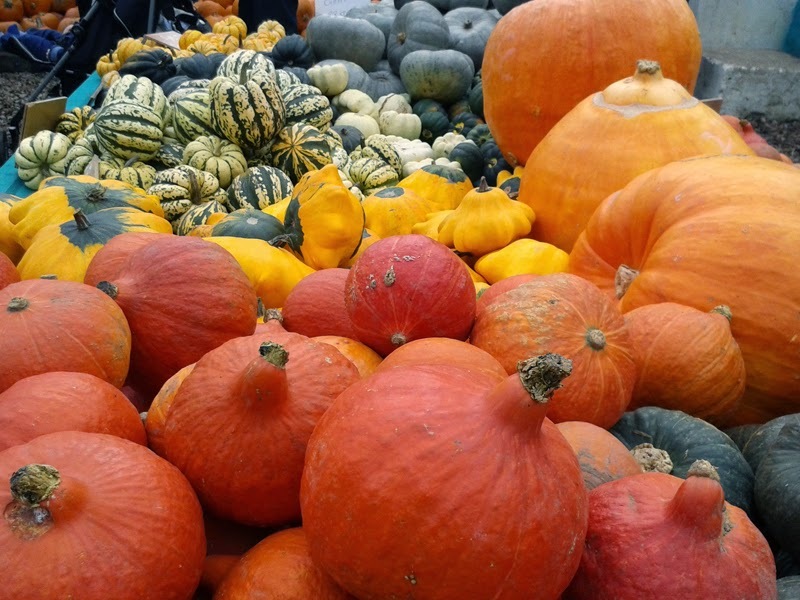 There are over 50 varieties to buy, including perfect carving lanterns, tiny ornamental gourds and the gorgeous grey Crown Prince pumpkin that are the best for cooking with. 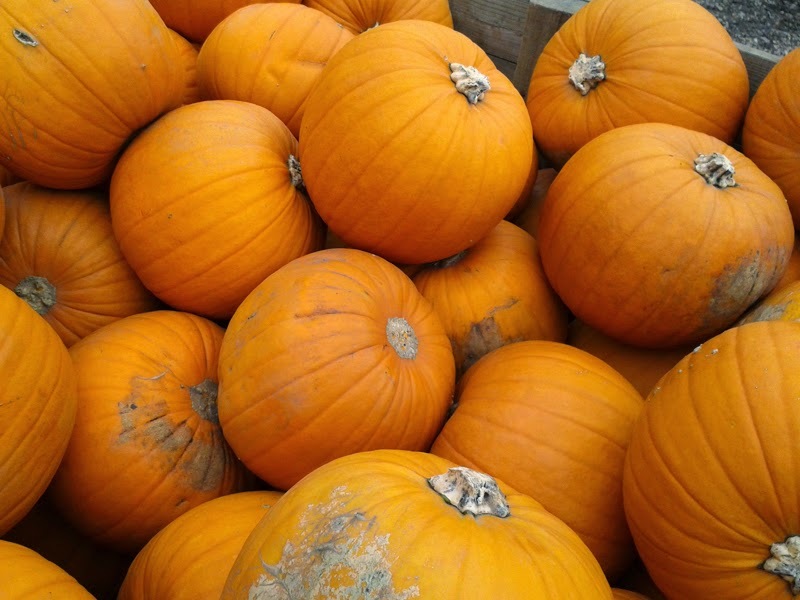 We drove away with a car full of pumpkins so we'll be eating them well into 2015!